Intended Use: Kayaking (all kinds), raft-guiding, river SUP. Uppers: 1000D Cordura® Nylon with 1060D ballistic nylon reinforcement rand. 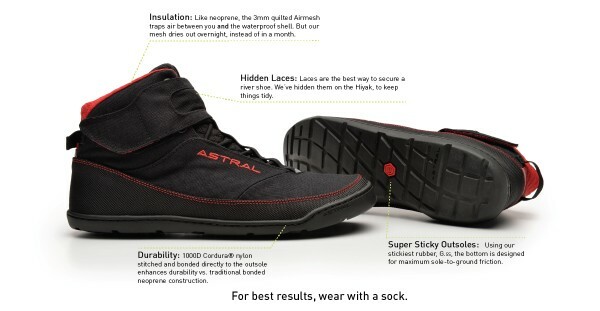 High-top padded ankle protection with semi-rigid heel cup. 3mm quilted spacer mesh lining. Hidden laces with Velcro Over-Flap. Reflective logo at heel and tongue. Water resistant laces. Outsole: G.ss highest friction rubber with siping and drain holes toe and heel. Non-marking. 3.5mm thick. Sizes: Available in Men’s US Sizing 7-13 Whole Sizes Only. 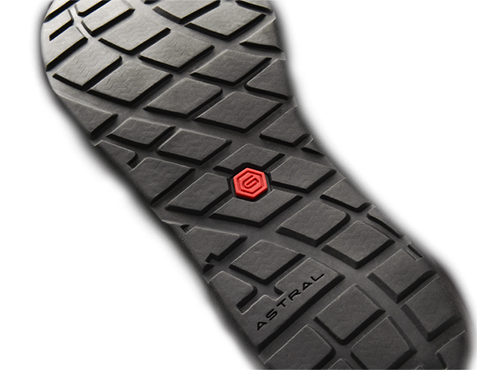 Weiterführende Links zu "Astral Hiyak Paddelschuh"
Kundenbewertungen für "Astral Hiyak Paddelschuh"